Oh why wait for summer when there's time to waste right here? You’ll hear it immediately, but what makes Canadian folk singers Pharis & Jason Romero so different from the many other young roots musicians plying their trade today is that this music doesn’t just inspire them, it haunts them. Pharis & Jason find themselves compelled to explore the backroads of American roots music, driven to push deeper and deeper into the tradition to try and get at the cold, remorseless universal truths these old songs hide. They’re not dilettantes trolling through Pete Seeger’s back catalogue, they’re psychonauts exploring the lost landscapes of American thought and creating handmade acoustic roots music so original and intelligent that they’re almost mapping a new country. Garrison Keillor of A Prairie Home Companion heard this immediately when they played his show, and invited them back on the spot for a second appearance. He also included them on his new Duets album along with luminaries like Gillian Welch, Sara Watkins, and Sam Bush. Major media outlets like NPR Music, who said “their chemistry is undeniable,” and The Huffington Post, who praised their “powerful close-harmony singing” have also been singing Pharis & Jason’s praises, and it’s not due to any legerdemain from a fancy publicist, it’s purely because the music they make as a husband-and-wife duo is deeply honest, pure, and affecting. A Wanderer I’ll Stay, the new album from Pharis & Jason Romero, was recorded in their home in the woods in the tiny town of Horsefly, deep in the interior of British Columbia. Pharis is a fifth-generation resident of this town, and comes from a family of musicians and mountain folks. Most of their year is spent in their workshop building banjos; the J. Romero Banjo company makes some of the most beautiful and powerful banjos on the market today. The same craftsmanship that bends them over their worktables late at night, scrutinizing their instruments down to the millimeter, is brought to their songs and songwriting. That their music sounds so natural and effortless is the surest indication of the work of masters. On the new album, Pharis Romero moves even more to the forefront as a songwriter, bringing songs that draw from the tropes of American folk song, but have a hard, modernist edge. She uses the tools of folk song: simple, hard-bitten characters, eminently singable melodies, and verses that tell captivating stories. Listen to the sadly touching refrain of “Ballad of Old Bill”: “It’s a wicked world when you’re all alone”; or the opening words of “There’s No Companion”: “There’s no companion like the misery of an unfilled desire”. These lines bite deep, and come from a long line of folk songwriters who knew how to cloak ancient truths in new words. On A Wanderer I’ll Stay, Pharis & Jason Romero have rebuilt some of their favorite folk songs, like the enigmatic “Cocaine Blues”, or the Civil-War era “A Dying Soldier”. Jason Romero’s also written more of his beautiful banjo-driven instrumentals, once again proving that there’s more beauty in the humble banjo than some people would have thought possible. 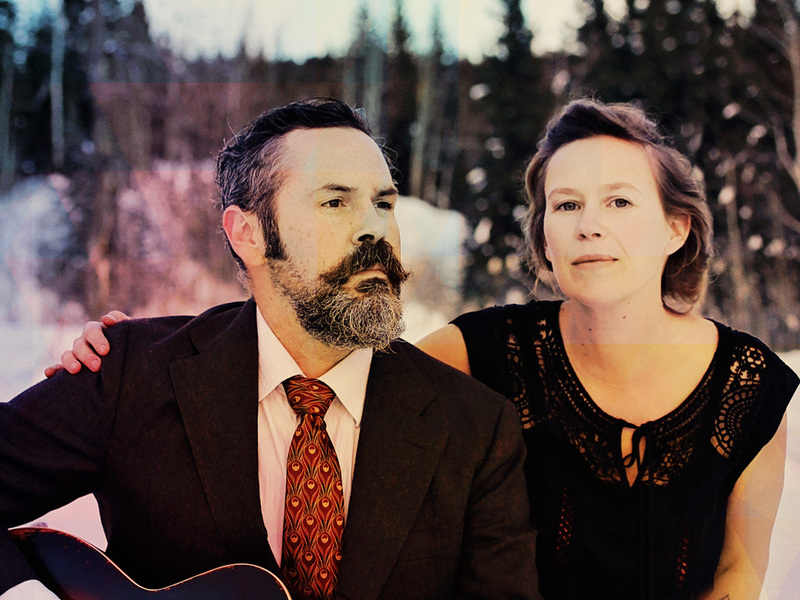 Together, Pharis & Jason Romero make the kind of music that endures. That’s because it’s built by hand to last, and made with a kind of love and care that’s nearly been lost in this world.